Bootstrap is a popular, open-source HTML, CSS, and JS framework for designing websites and web applications. It's developed at Twitter in 2010 by Mark Otto and Jacob Thornton, and was known as Twitter Blueprint. Bootstrap makes front-end web development faster and easier. It's made for folks of all skill levels, devices of all shapes, and projects of all sizes. 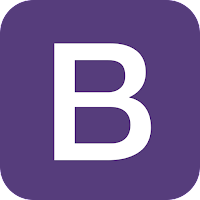 Disclaimer: Direct downloads for the lastest version of Bootstrap 3.3.7 / 2.3.2 are provided by the official software's author, we can't guarantee safety, availability or download speed. Moreover, we don't and we won't provide any pirated/illegal versions or tools. We recommend you to avoid it as these methods can harm your device. If you like the software, buy it to support the developers. (We provide software discounts for many worldwide brands).